We look at the top five best music videos according to the Live Mag team. 2018 has undoubtedly been a wonderful year for music but the real treat has been the music videos. From The Carters’ snatching our wigs in the Louvre to Doja Cat showing us how a McDonalds’ meal should be eaten, viewers have been spoiled for choice. For this week’s Top Five, we look at (what we think) is the best music videos of 2018 so far. Can you guess the number 1? Disclaimer: This is only the opinions of a few people. This is not the be all and end all of music video knowledge, we are not the VMAs. Belcalis Almanzar, aka Cardi B, is probably most known for her outrageous and hilarious video content. Viewers were pleasantly surprised to see that Cardi is multi talented. This video is a welcome deviation from her comedic content. Be Careful references the famous wedding in Quentin Tarantino’s Kill Bill. The visuals are striking and the directing commendable. And the fashion, dahlings, Cardi B never disappoints. Yara Shahidi, Olivia Wilde, Leticia (the only princess that I acknowledge) Wright and Tracee Ellis Ross. There’s nothing more to say. Drake did THAT. 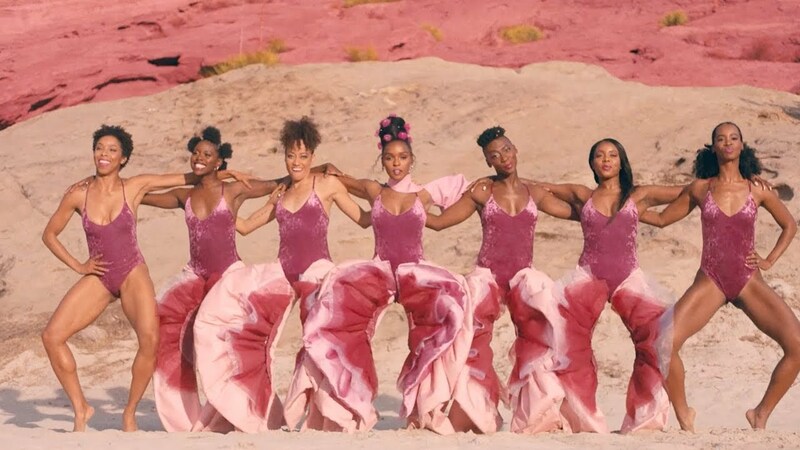 The Nice for What video was directed by Karena Evans, the same woman who directed the video for God’s Plan. The visuals are on point, the women exude Boss attitude. The only thing that this video needed was a Knowles sister. Desire Marea and Fela Gucci the duo formally known as FAKA snatched our wigs worldwide this year with their international appearances and epic badassery. Queenie was the cherry on the cake of a very successful year. The video features queer people telling their stories in voice over form over visuals of Desire and Fela voguing (Madonna was found shaking) Read here for a more detailed review. Seinabo Sey is a Swedish artist, her father is famous Gambian musician, Maudo Sey. I Owe You Nothing is a celebration of blackness in all its glory. The video is filled with amazing designer outfits from big labels that include Louis Vuitton and Burberry. Set in grungy locations that are all too familiar to working class black people, Seinabo gives us strong visuals that include beautiful dark skinned men and burning cars. If you haven’t seen this video yet, I strongly advise that you do. We agree that 5 videos is not enough to truly give you all the good and amazing videos that came out in 2018. So tell us which videos we should have included.